It is not often I have time to go hunting for vintage treasures, but here the other day my baby Noah was a little sick. At naptime I put him in his stroller and went out to wander the streets of Stavanger. I found this beautiful, ca. 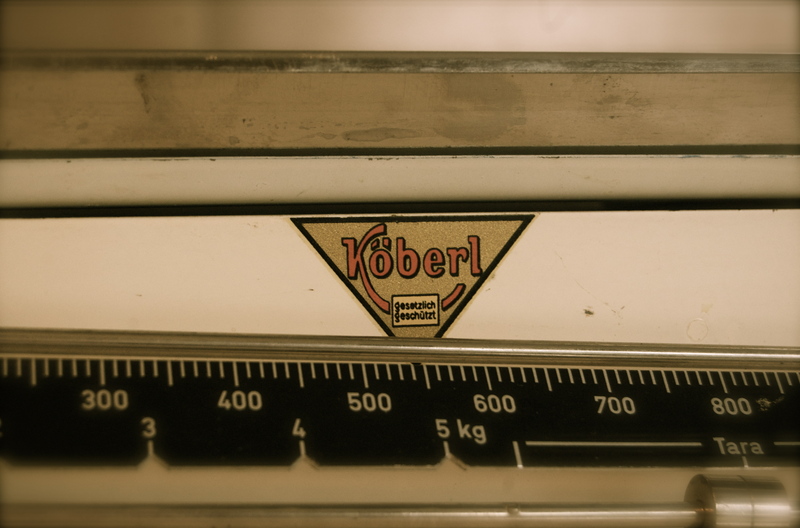 1960s Köberl kitchen scale. In creme enamel, like all my other favorite kitchen appliances… And guess what? 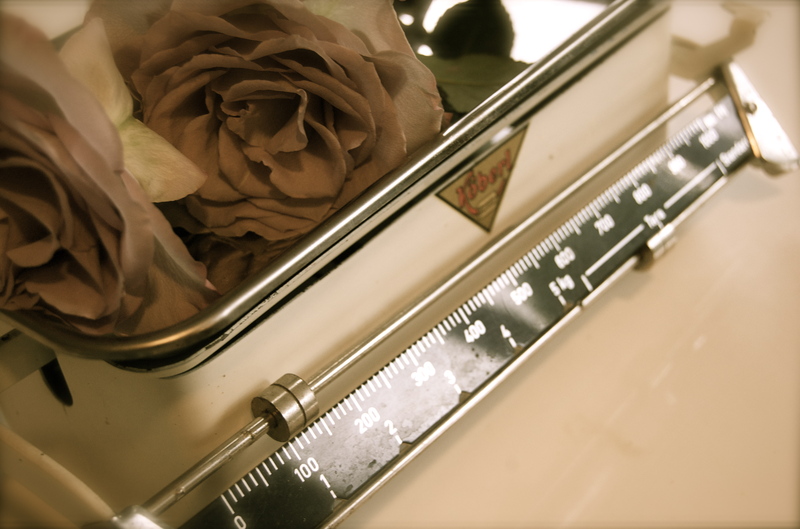 I didn´t even have a kitchen scale before! 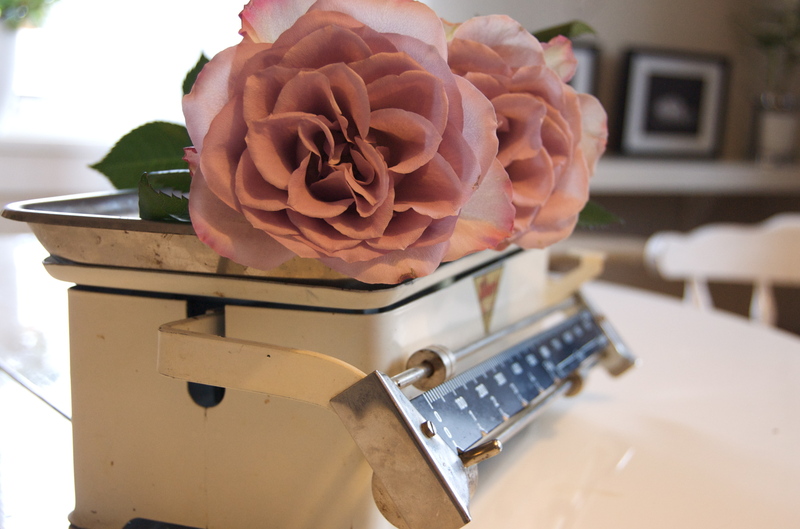 How can I even call myself a food blogger if I don´t own a scale? Look how beatiful it is. It was destiny, creamy Köberl is now majestically sitting on my counter, adding balance to my kitchen. 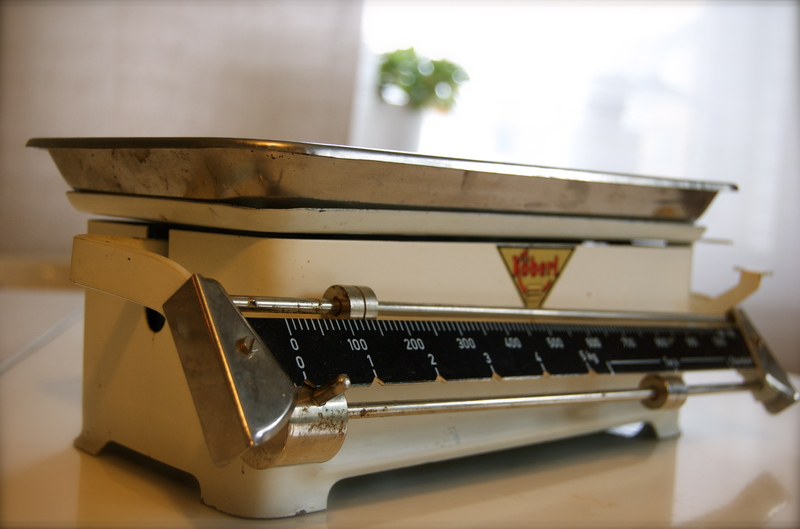 I think it looks a lot like the old, Swedish Pernille scales that I am sure many of the Norwegian kitchens once held. Does any of you remember these scales?